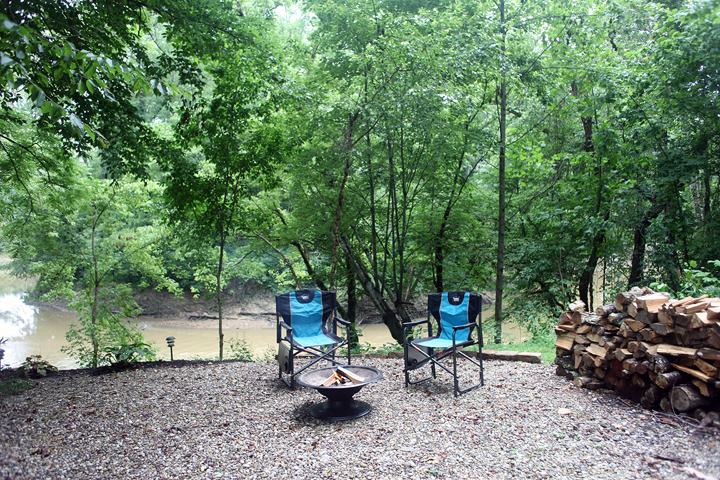 The Cabin is known for its setting on the bend of Triplett Creek. 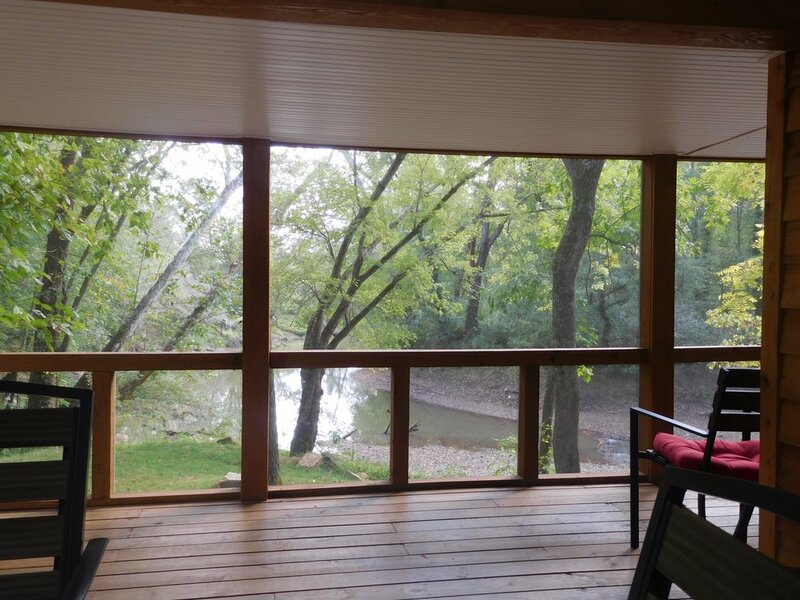 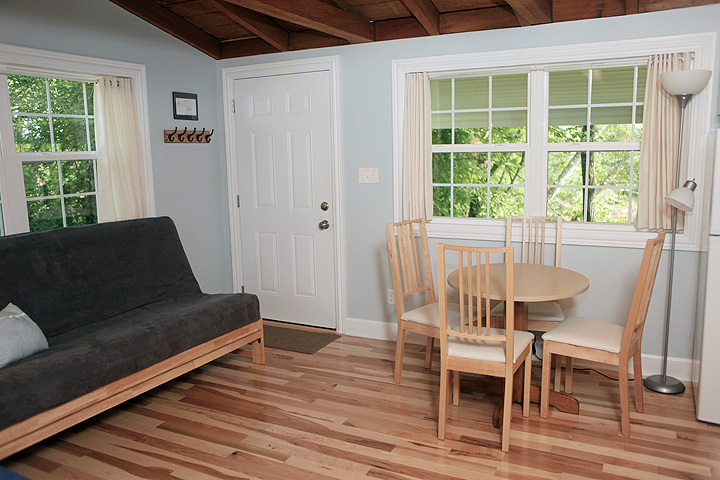 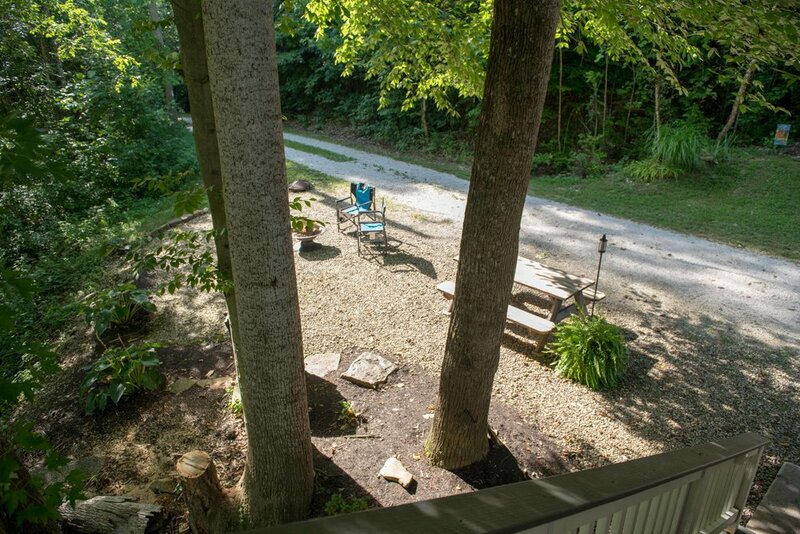 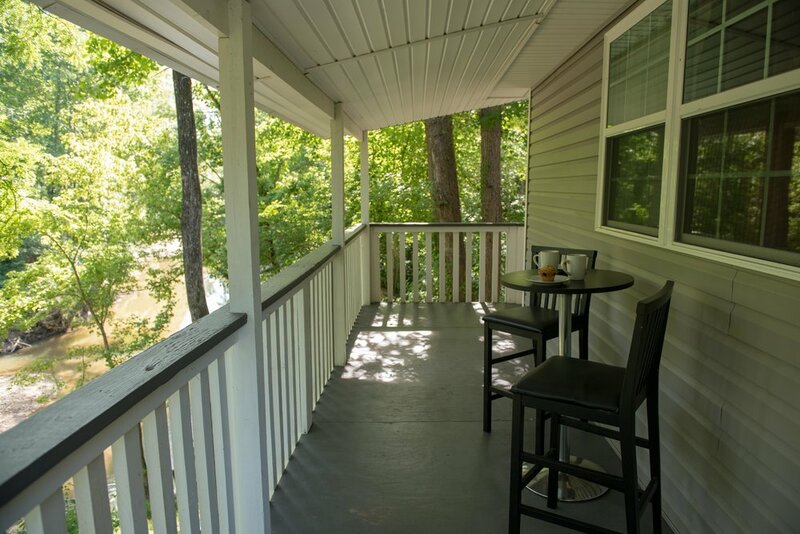 The view is always relaxing and especially enjoyed from the screened-in porch on the ground floor. 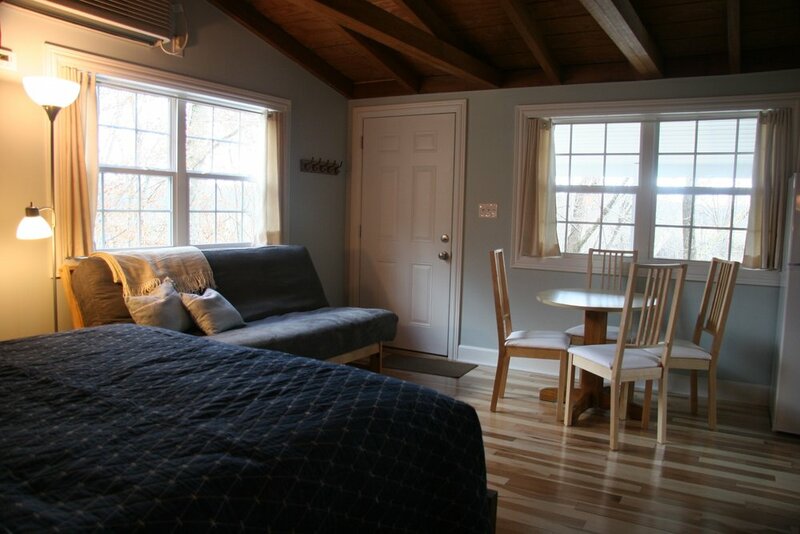 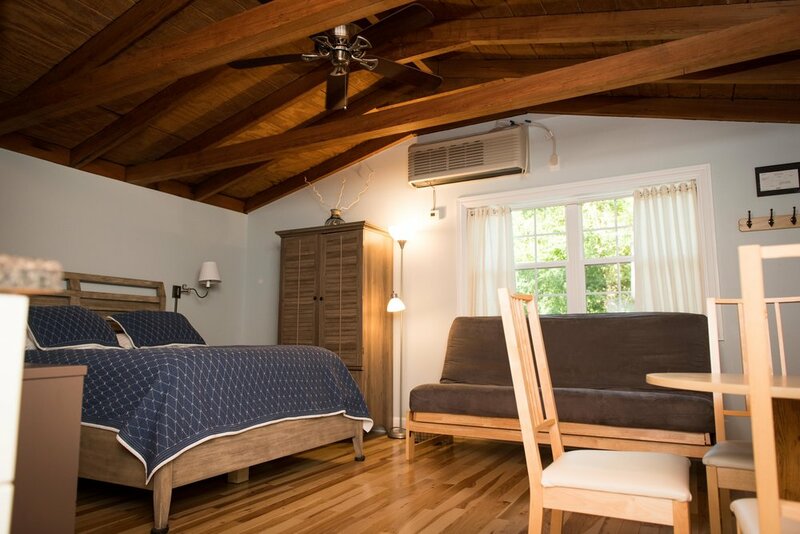 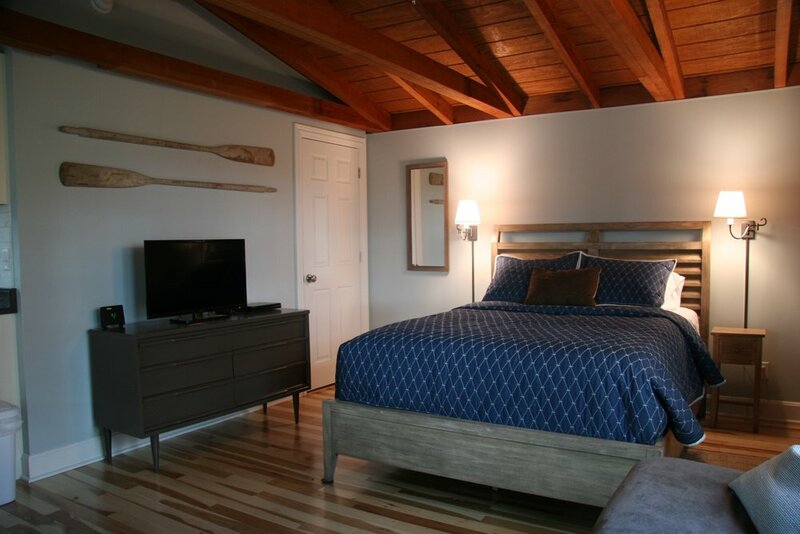 The studio living area on the second floor features a queen bed, full futon sofa bed, kitchen, table and chairs, separate bathroom with shower/tub unit and washer/dryer. 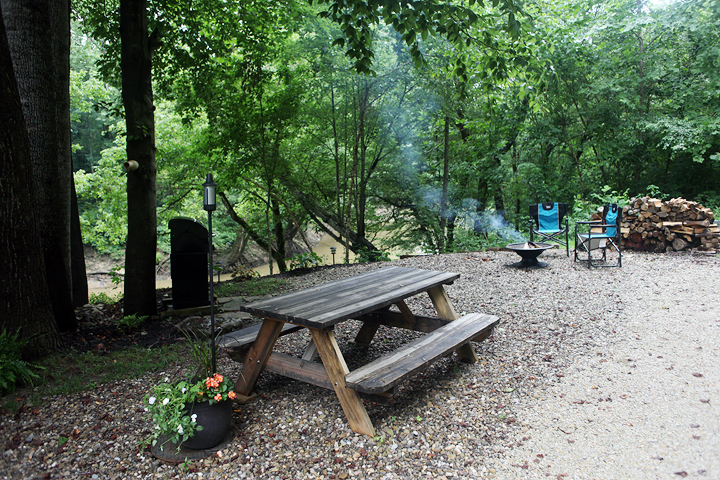 There is an outdoor picnic table with fire pit and seating.